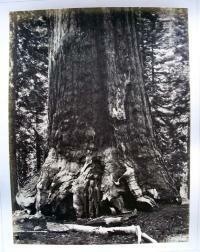 Although only around 100 copies of this print were made, it has become one of the iconic images of the 1890s. Indeed, Toulouse-Lautrec’s colorful lithographic posters are almost synonymous with the Belle Époque. Inspired by Japanese woodblock prints, note the flatness of the design, a strong diagonal, and the large areas of muted color. The cartoon character Li’l Abner was created in the 1930s by Alfred G. Caplin (1909-1979), better known by his pseudonym Al Capp. At that time, Capp was the youngest syndicated cartoonist in America and Abner was the most popular of all American cartoon characters. The strip ran from 1934 to 1977, when Capp stopped drawing it. This unrecorded first edition pattern book contains 17 fullpage and 96 vignette woodcuts on 34 leaves of plates. Latomus catered to an international clientele of women and girls, offering both favorite designs and the latest in needlework patterns. An elaborate opening woodcut cartouche with contemporary hand coloring was commissioned by Latomus specifically for this edition. The design features Virtues and Senses in the four corners: Labor, Diligence, Sight, Touch. 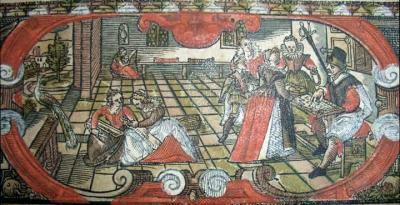 In the central scene, six women can be seen weaving, measuring, and cutting fabric, while also attending to a wealthy customer and his page. 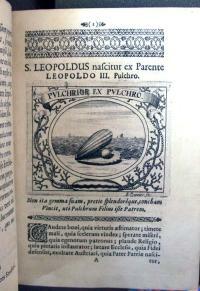 This is an emblem book on Leopold III, patron saint of Austria and Vienna. It holds 15 etchings composed in honor of two Hungarian nobles. The only clue to the printmaker is one plate signed B. Denner, leading some to think of the German portrait painter Balthasar Denner (1685-1749). Unfortunately, he would have been only seven years old at the time of publication. 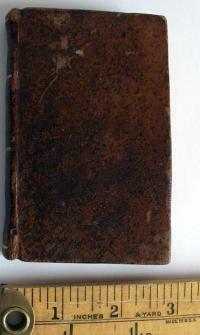 Perhaps it is a later edition with added plates by Denner but comparing ours to another copy is going to be difficult. 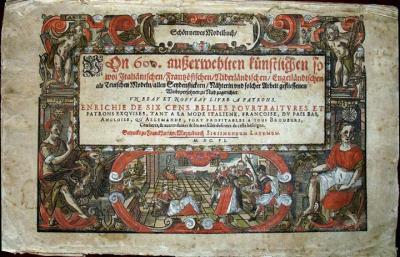 There are only two other copies of this volume recorded; one is at the Universiteit Utrecht in The Netherlands and the other in Wienbibliothek im Rathaus (Vienna City Library) in Austria. 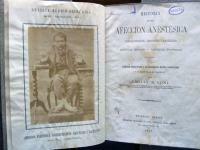 In 1877, physician and public health specialist Emilio R. Coni (1859-1907) published an article entitled “Historia de una Afeccion Anestesica. 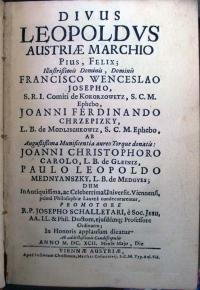 Contracturante, Amputante y Dactiliana,” in the professional journal he edited Revista Medico-Quirurgica. 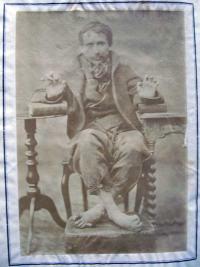 A 16 page off-print was released at the same time by the Buenos Aires press of Pablo E. Coni, with a photographic frontispiece showing a man with macular leprosy. 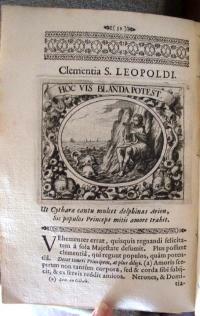 Coni expanded the piece and the following year, published Contribucion al Estudio de la Lepra Anestesica. Coni fought all his life for the reform of the health practices of Latin-American families, and was eventually named president of the Medical Association of Argentina. The two books in this posting are both published by Taller Leñateros, an indigenous book and paper cooperative in Chiapas, Mexico that has been creating handcrafted books for over 30 years. Taller Leñateros is the only publishing house in Mexico run by Mayan artists. Founded in 1975 by poet Ambar Past, the Workshop has produced the first books to be written, illustrated and bound (in paper of their own making) by Mayan people in over 400 years. 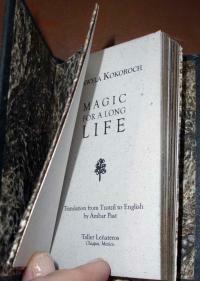 Another item from the Taller Leñateros is a set of miniature books of Mayan spells, including a hex to kill the unfaithful man by Tonik Nibak, Mayan love charms by Petra Hernández, and magic for a long life by Manwela Kokoroch. These texts, in three hand-sewn volumes, are housed in a hut-shaped cardboard case opens to form an altar with two side panels. 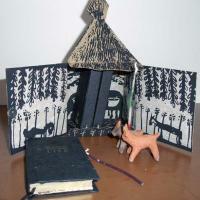 Along with the three books the authors provide a pot-shaped incense burner, two animal figure candle holders, and a plastic sleeve with 12 candles. 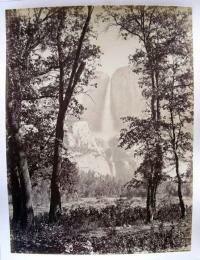 It is hard to overestimate the importance of The Yosemite Book in the history of the United States. Only 250 copies of this lavish quarto volume were published, with 24 albumen photographs by Carleton E. Watkins (1829-1916) and 4 by William Harris. 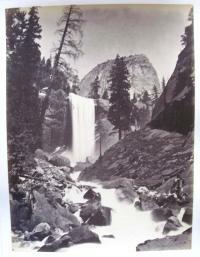 Watkins made the photographs on an 1866 trip to Yosemite with the Geological Survey of California and Harris made his on a trip the following year. 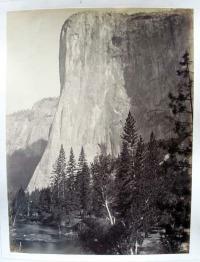 Watkins’ spectacular photographs record the beauty of Yosemite, not the geography or topography required of other survey artists, and his images found an immediate audience. Watkins used 8 x 10 inch glass-plate negatives, which had to be developed in California and then, carried back across the country to the photographer’s studio in Washington D.C. to be printed. For more information, see Martha A. Sandweiss, Print the Legend: Photography and the American West (New Haven: Yale University Press, 2002). Marquand Library (SAPH) TR23.6 .S25 2002. The Scottish photographer Thomas Annan (1829-1887) is best known for his images of the Glasgow slums, published as Photographs of Streets, Closes, &c. Taken 1868-71, 1872 (Graphic Arts dividion (GAX) 2007-0023E). Not long after this commission, the city of Glasgow hired Annan again to photograph the 25 mile water system between Loch Katrine and Glasgow. 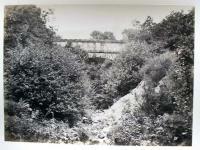 This was the first successful aqueduct project in Scotland, designed to provide Glasgow with cheap, clean water. 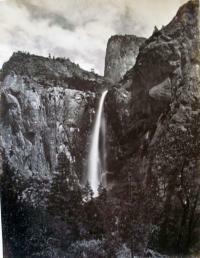 Annan finished the first set of photographs in 1876 and a portfolio was published in 1877. He returned to take a second photograph of the commission members in 1880 and a third portrait of the group in 1886. In the late 1880s, Glasgow had outgrown the original water works and needed a second reservoir. To raise the money for this project they again called Annan, who made additional photographs and a second expanded edition of the Water Works album was published in 1889. This is the rare volume of 33 albumen photographs that Princeton’s graphic arts division recently acquired. 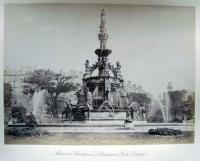 Continue reading Thomas Annan and the Glasgow Water Works. Nicolas de Larmessin II (ca. 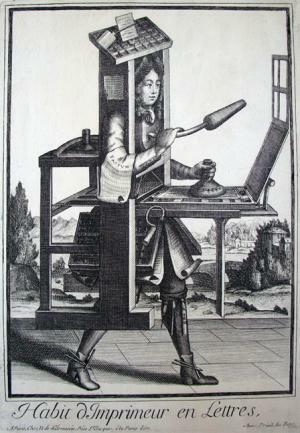 1638-1694), Habit d’Imprimeur en Lettres (The Printer’s Costume), ca. 1680. Engraving. Graphic Arts GA 2007.04409. This copper plate engraving is from Les costumes grotesques et les metiers or the Fancy Trade Costumes series. In the series, over 70 artisans are dressed in the materials of their occupation, in this case the tools of a printer. Nicolas de Larmessin II is one member of a family of printmakers and booksellers, many with the same name, leading to much confusion in attributing their work. 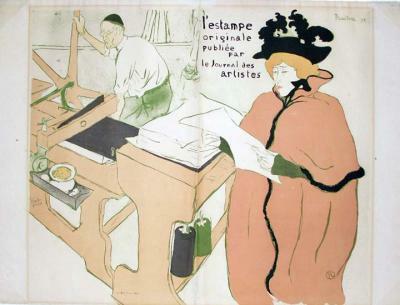 The family had their own publishing house in Paris, where they designed and printed books, prints, calendars, and other popular works on paper. A Drawing for Blake to Engrave, But Who Made It? 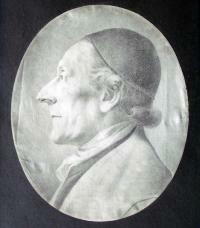 Portrait of Johann Lavater, ca.1787. Attributed to Johann Lavater after a drawing by Johan Lips. Graphite. Graphic Arts division GA2008- in process . The Swiss minister Johann Caspar Lavater (1741-1801) was convinced that the science of physiognomy made it possible to know about a person’s interior self from their exterior body. This included both the physical skull itself and the visual representation of it. He published his beliefs in three major editions, Physiognomische fragmente (1775-78) RBSC Oversize 6453.568.15q, Essai sur la Physiognomonie (1781-1803), and Essays on Physiognomy (1788-99) GAX Oversize 2007-0002Q. These volumes are lavishly illustrated with profile portraits, silhouettes and linear profile outlines. Johan Heinrich Lips (1758-1817) was the principal engraver of the plates, working from his own drawings and after drawings by Georg Friedrich Schmoll. Lavater’s close friend Henry Fuseli (1741-1825) added a few illustrations and brought in the young William Blake (1757-1827) to complete a few additional plates. Joan K. Stemmier, writing in The Art Bulletin (March 1993), asserts that Lavater planned a lavish folio edition of his Physiognomonie and prepared several drawings on folio sheets for this project. Ultimately, trouble between Lavater, Fuseli, and the publisher, Joseph Johnson, brought a halt to the project. 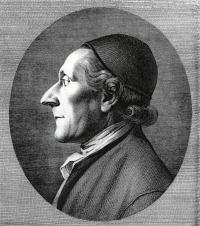 This was around 1787, at the point when Blake was called in to engrave, among other things, a large portrait of Lavater. The question is, who made the drawing that he used for the image? There is a chalk drawing by Lips in the Kunstsammlungen at Weimar that resembles this engraving, but not exactly. Reproduction of William Blake’s engraved portrait of Lavater. The graphic arts division at Princeton University holds a second large profile drawing of Lavater. This is believed to be the source for Blake’s engraving. According to Stemmier, Lips drawing was engraved by Adam Ludwig Wirsing in 1787 and sent to Lavater but the author was not satisfied with the sharp angles and lack of overall harmony in composition. Working from either the drawing or the engraving, Lavater made his own drawing with the harsh lines altered and jowl softened. It is this drawing that was sent to Blake to engrave, which is now owned by Princeton. When the folio edition fell through, Johnson published Blake’s engraving as a single print in several editions from 1787 through 1800. Now it was Blake’s turn to be dissatisfied. “I find on all hand great objections to my doing any thing but the meer drudgery of business …” he wrote to his patron Thomas Butts and vowed to give up reproductive engraving for projects on which he could have complete artistic control. The Elmer Adler Undergraduate Book Collecting Prize is awarded annually to the student or students who, in the opinion of the judges, have shown the most thought and ingenuity in assembling a thematically coherent collection of books, manuscripts, or other material normally collected by libraries. The prize is endowed from the estate of Elmer Adler who for many years encouraged the collecting of books by Princeton undergraduates. The rarity and value of the student’s collection are not as important as the creativity and persistence shown in collecting and the fidelity of the collection to the goals described in a personal essay. An informational session introducing the contest will be held at 4:30 p.m. on Wednesday, October 15, 2008 in the Scheide Library, located in the Department of Rare Books and Special Collections, Firestone Library. The Scheide Library holds outstanding collections of Bibles in manuscript and print, including a Gutenberg and a 36-line Bible; medieval manuscripts and incunabula; music manuscripts of Johann Sebastian Bach and Ludwig van Beethoven; and other rare materials. 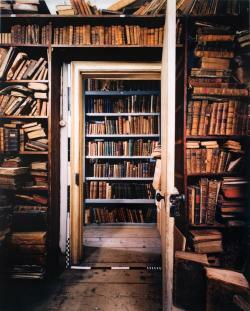 Scheide Librarian Paul Needham will give a brief tour and talk about the importance of book collecting. 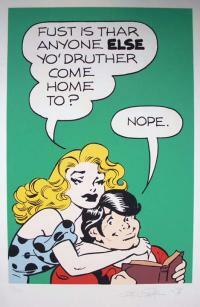 Julie Mellby, graphic arts curator, will be on hand to answer questions about the Adler Prize. Essays should be submitted via e-mail, in a Microsoft Word attachment, to jmellby@princeton.edu by 5:00 p.m. Friday, November 28, 2008 and should be no more than ten pages, double-spaced. 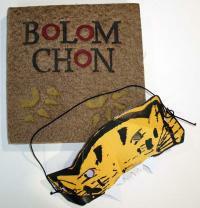 Your entry should include a bibliography of the items in your collection. Please note your name, class year, residential address, email address, and phone number on a separate cover sheet. Winners will receive their prizes at the annual winter dinner of the Friends of the Princeton University Library. The first prize essay will be published in a forthcoming issue of the Princeton University Library Chronicle and has the honor of representing Princeton University in an international book collecting competition. The Greek drama, Prometheus Bound, is thought to have been written by Aeschylus around 430 B.C.E. It is a tragedy, based on the myth of Prometheus, who was punished by Zeus for giving fire to humankind. Henry David Thoreau was only 25 years old when he undertook a modern translation of the play for the January 1843 issue of the Dial magazine. In preparing a 21st-century edition of Thoreau’s text, Russell Maret experimented with drawings made from smoke rising directly into white paper. 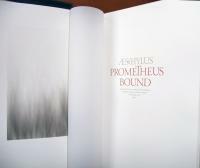 Not only did it produce beautiful images but the drawings were emblematic of Prometheus’ dramatic theme. The result is a book printed letterpress in three colors from photopolymer plates using Fred Smeijers’ Quadraat type for the text and an original “Promethean” alphabet by Maret on the title page. Each copy has one original smoke drawing as a frontispiece. 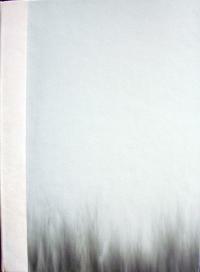 The edition is bound by Judith Ivry in quarter goatskin and paper over boards with a second smoke drawing on each cover. The Chinese writer Li He, nicknamed the poet-ghost, lived during the Tang Dynasty (618-907). He began to write at the age of seven. Each morning Li He would go for a ride on his horse, jotting down thoughts or sentenses as they came to him. These tiny strips of paper would be thrown into a bag and later that night, used as the material for his poetry. 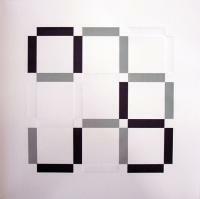 British artist Ian Tyson was inspired by Li He’s method of composition. 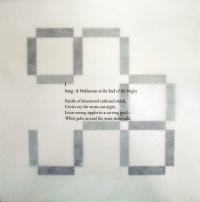 He created this artist’s book made of unbound printed sheets of poetry, housed in a cloth-covered wrapper. Each volume comes in a tray case with a relief sculpture mounted on top. A reception and gallery tour will be held at 4:00 p.m. on Sunday, January 25, 2009, for the opening of “Beauty and Bravado in Japanese Woodblock Prints: Highlights from the Gillett G. Griffin Collection” in the Milberg Gallery of the Princeton University Library. The prints on display offer examples of changing fashions and evolving print technologies in Japan from the late 1600s to the mid-1800s. 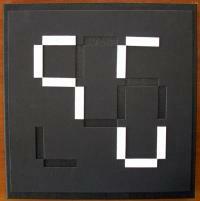 They are part of the collection donated by Gillett Griffin, curator emeritus of the Princeton University Graphic Arts Collection, in honor of Dale Roylance. The exhibition will be on view from January 18 to June 7, 2009. In 1947, when Griffin was a student at Yale University’s School of Fine Arts, one of his professors invited a Japanese print dealer to visit. 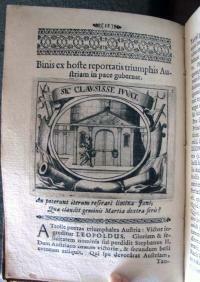 Gillett’s eye fell on a small black-and-white print, which he purchased for the enormous sum of $2.00. 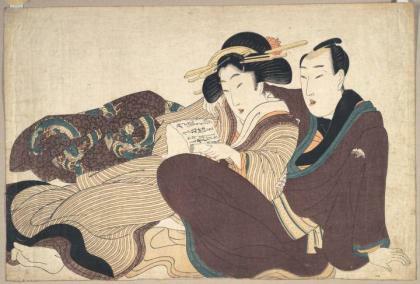 The dealer was impressed that such a young man would see the beauty in what turned out to be a print by Hishikawa Moronobu (ca. 1618-1694). Four New York art sales that winter featured Japanese prints, three at Parke-Bernet and one at Gimbels Department Store (both Gimbels and Macy’s sold fine art in those days). Griffin made it to three of the four sales, and by the end of the year had a collection of almost seventy classic Japanese woodblock prints. “I really had no money,” he said. “But this was only a few years after Pearl Harbor and there was still a great deal of hostility and so, not many buyers.” Griffin continued to study and collect for more than sixty years. 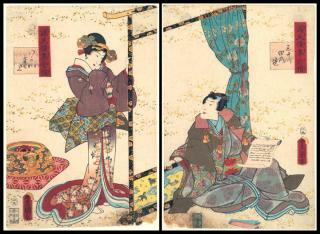 Utagawa Kunisada (Toyokuni III, 1786-1865), Chapter Thirty-four: Wakana No Jô, from the series: Parody on the Fifty-four Chapters of the Tale of Genji (Genji gojûyojô), 1858, 9th month. Signed: Toyokuni ga. Publisher: Wakasaya Yoichi. Ôban tate-e diptych. 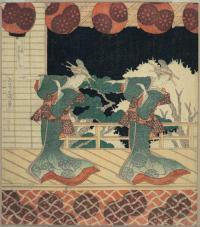 Color woodblock print (nishiki-e). Karel Teige was a graphic designer and architectural theorist. His innovative designs during the years before World War II, revolutionized both commercial and artistic book production in Czechoslovakia. Together with the Czech poet Seifert, Teige founded the 1920s Prague-based avant-garde group Devetsil (taken from the word for a tough weed). Teige began his career as a painter but when he designed the first cover of a Devetsil publication, he gave up painting for graphic design. Influenced by many of the DaDa artists, such as Man Ray, Teige often used photomontage in his covers. 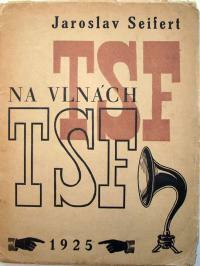 Na vlnách TSF can be translated On the Waves of T(élégraphie) S(ans) F(il), or On the Air. 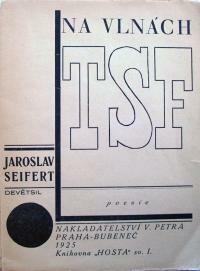 This was the fourth collection of poetry issued by Seifert and one of many project on which he collaborated with Teige. In this tiny volume, Kenrick assumes the persona of a fallen woman, now reformed, who wants to persuade other women to live a life of virtue. Chapters include Curiosity, Reflection, Vanity, Knowledge, Reputation, Applause, Censure, Insinuation, Affectation, Modesty, Chastity, Complacence, Acquaintance, Friendship, Elegance, Frugality, Employment, Virginity, Marriage, Education, Authority, Widowhood, and Religion. 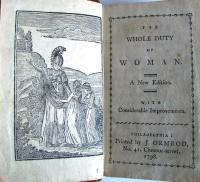 While courtesy books are, in general, books of etiquette for young women, they often went further by offering a philosophy of life, a code of principles, and ethical behavior by which to live. 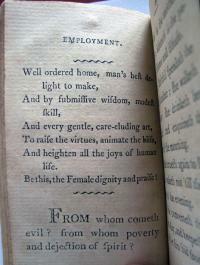 Kenrick was certainly having a good laugh as this volume was reprinted in over 20 editions.